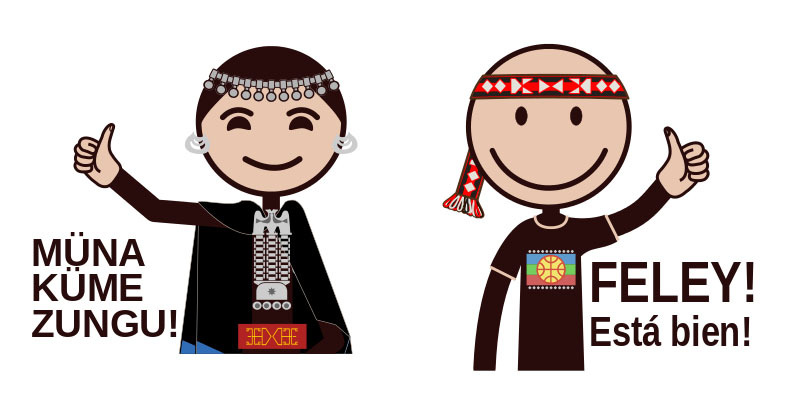 Emojis depicting Mapuche culture. Republished with permission. 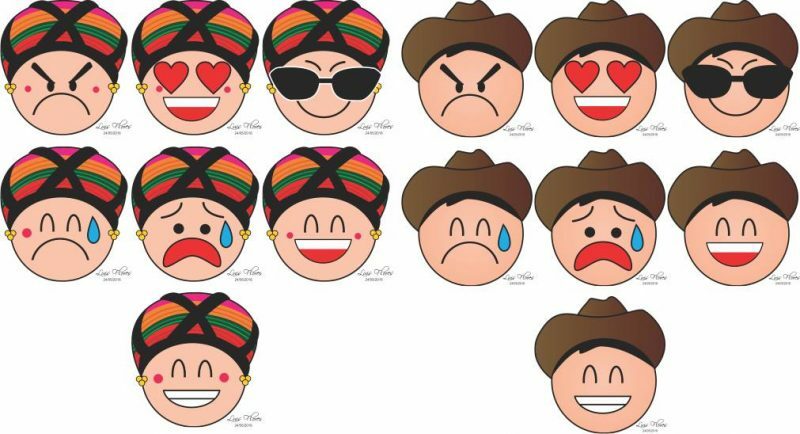 Across Latin America, indigenous language digital activists are taking the lead by creating culturally diverse emojis available for use in electronic communication as a way to promote their native culture and language. In the last couple years, tech companies such as Apple and Twitter have responded to calls for more emoji diversity, giving users the option of selecting different skin tones. Despite some negative applications of these new emojis, the additions have been applauded and have opened up requests for the inclusion of other cultures and regions, such as a petition to add a hijab option. 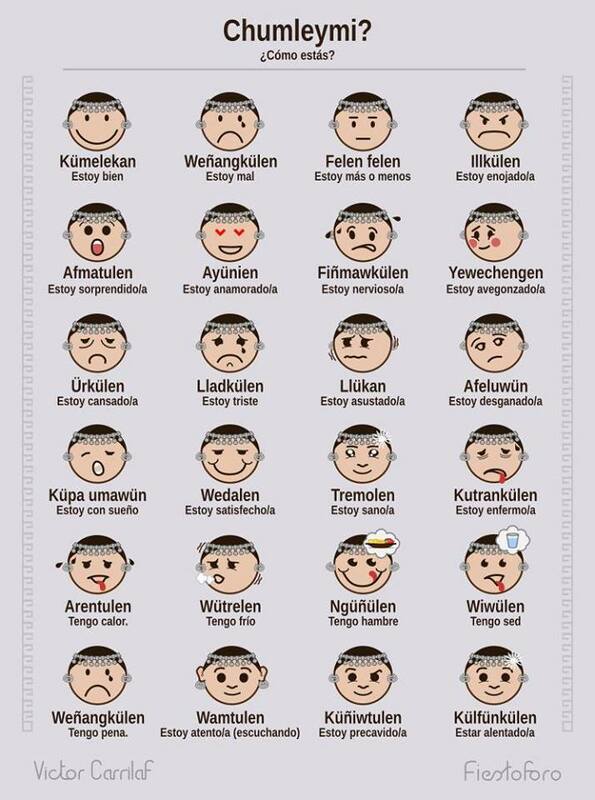 Indigenous groups are among those who would like to see their cultures reflected in emojis. Instead of waiting for companies to finally include them, some internet users have taken it upon themselves to create their own emoji sets. 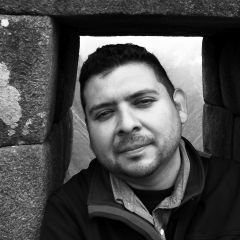 Luis Padhum Flores, who is from the state of San Luís Potosí, México, is a digital activist promoting his native Huastec (also known as Tének) language. One of his current projects include creating a set of emojis depicting faces in typical headdresses and hats, which he shared on his Facebook account. Emojis depicting Huastec culture. Republished with permission. And Mapuche schoolteacher Victor Carilaf has teamed up with Chilean artist Fiestoforo to launch Kimeltuwe, which promotes the Mapudungun language spoken by the Mapuche people in Chile and Argentina. As part of the project, they've created illustrations depicting Mapuche culture with an emphasis on transmitting the local language. Some of their illustrations include emojis of faces and people in traditional dress, which they encourage their 112,000 Facebook fans to use in their communication. With both projects, the creators are still searching for ways to fully integrate the emojis into different messaging platforms. For now, they have been using them as images or stickers that can be downloaded, edited and shared as jpegs or other image formats in comments or messaging.